 Artemis - What is pCell? Conventional cell towers transmit signals that carefully avoid interfering with each other, creating large cells, 50m to 5km in size. All mobile devices, perhaps thousands, share a cell, each getting a fraction of the spectrum capacity. pWave™ radios transmit signals that deliberately interfere with each other, combining to synthesize tiny pCells, each just one cm in size. 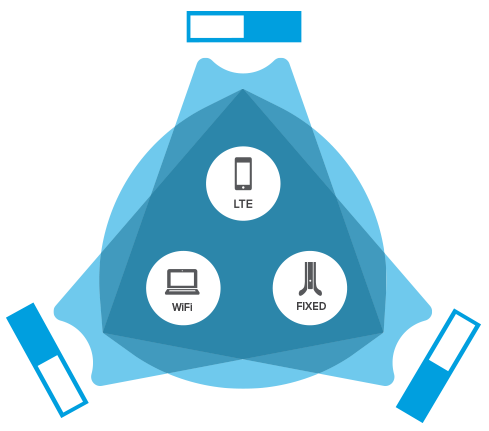 Every mobile device has its own pCell™, a “personal cell,” each getting the full spectrum capacity. Each shared by many devices. One per device. Not shared. Cell service is okay when there are few users. pCell service is full speed no matter how many users. Cell service slows to a crawl when there are many users. pCell service is full speed even with many users. Overwhelmed when there are many users. Tiny bubbles of mobile service, always full speed, no matter how many people are around you. pWave radios can be deployed wherever cables can be deployed. Arrange pWave radios in any pattern. Consistent high throughput, low latency throughout the pCell coverage area. Whether sitting indoors, or riding a high-speed train. No cells, no cell edges, no handoffs, no dead zones. It’s time to stop thinking about mobile as unreliable or inconsistent. It’s time to start thinking about what’s possible with ubiquitous broadband. even as it exhausts the world’s spectrum. while reducing mobile spectrum requirements. 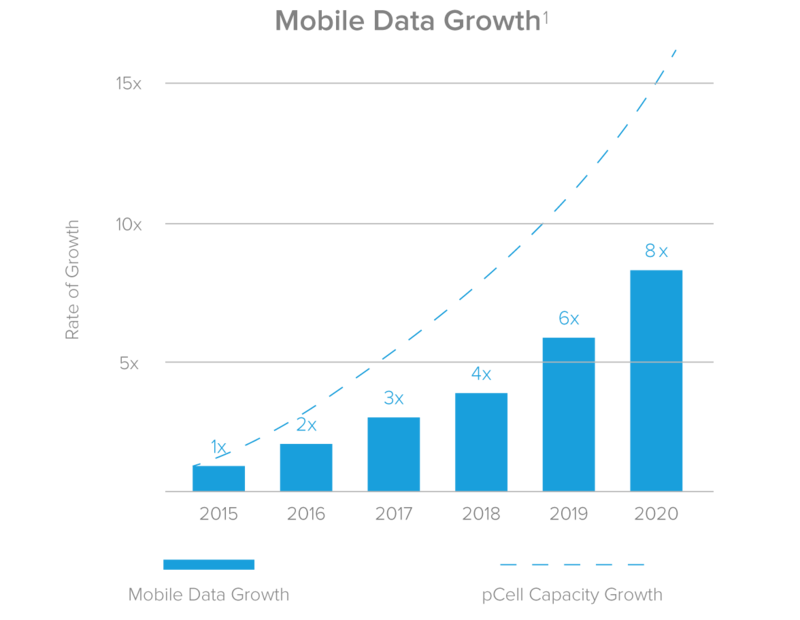 (1) Mobile data growth projections from 2016 Cisco VNI. 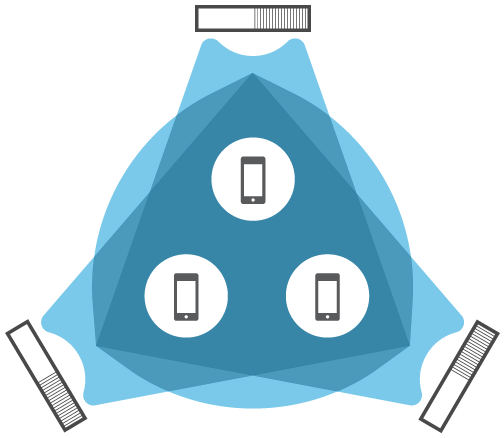 Each pCell supports a different protocol to each device in the same spectrum concurrently. pWave Minis support multiple current and future protocols at once. For example, the same pWave Mini deployment will concurrently support 5G-class LTE devices and Fixed Wireless CPEs in the same spectrum. In the future the same pWave Minis will also support IoT, precise 3D positioning and wireless power protocols in the same spectrum. Or in any band from 600 MHz to 6 GHz. 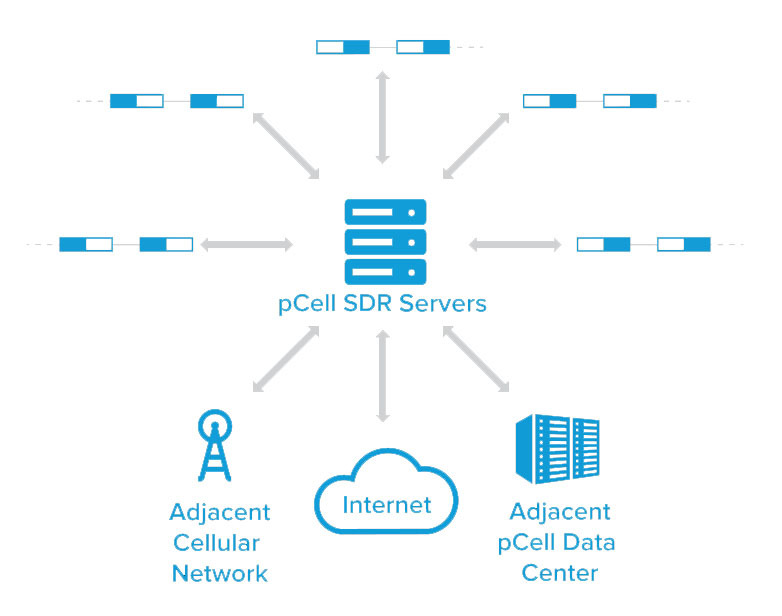 All that is required are software updates to pCell Edge Software-Defined Radio servers.